I am on the Round the World Cruise and have limited Internet. I’m using this time to catch up on my TBR pile on my ereaders. My posts are short with no links or graphics. Check my travel blog to see where I have been and where I am going. I don’t want to give too much away so this is a very short review. Hammer of Angels picks up a few months after Blades of Winter ends. It picks up with Alix in an action scene and does not stop for the entire book. I like action and a really interesting Alternate History so I was eager to see how the series held up in book two. I was not disappointed. The plot is full of tension and, the characters are interesting. I had wondered how Alix would react to Brando. I like how that part of the story was handled. There are two main stories in the book and they overlap. While some issues in both stories are resolved there are still thing up in the air. Book three should be really interesting. A word of warning about the series. All of the world building was done in book one so if you start with Hammer of Angels you may be completely lost. I recommend you get Blades of Winter and read from there. Del Rey published Hammer of Angels by G. T. Almasi in 2013. I received an ARC of Hammer of Angels from Netgalley. As I read Chapter One of A Bride by Moonlight it sounded very familiar. Then I realized it is the same as a scene from a previous book but from a different perspective. Royden Napier and Elizabeth “Lisette” Colburne are back but this time as the main characters. Napier does not know what to think about Lisette. He is not sure if she is innocent or guilty of murder. He does know that in spite of everything he is very attracted to her. He is called to his estranged grandfather’s home to solve a mystery and he is warned that there will be pressure put on him to wed someone not of his choice. Using blackmail he convinces Lisette to go with him and pose as his betrothed. The story unwinds from there. There is a lot of tension in A Bride by Moonlight; tension between Napier and his family, between Napier and Lisette, tension caused by Lisette’s past and tension from past secrets in both of their lives. Both Napier and Lisette must face the fact that not all of the past was as it seemed. The plot is full of surprises, twists and turns, and of course romance. The journey to Napier’s and Lissett’s HEA is really fun read, one you don’t want to miss. While A Bride by Moonlight is part of a series you can read it as a stand alone. Avon Published A Bride by Moonlight by Liz Carlyle in 2013. I received an ARC of A Bride by Moonlight from Edelweiss. I am on a Round the World Cruise and have limited Internet. I'm using this time to catch up on my TBR pile on my ereaders. My posts are short with no links or graphics. Check my travel blog to see where I have been and where I am going. Nights of Steel features two great characters, Anna Blue and Jack Hawkins. The plot is interesting. The romance is hot. The action is nonstop. This is steampunk and it contains very interesting inventions that add a lot to the story. The only draw back is the world building. This is #4 is the Ether Chronicles and if you have not read the first three you will be a little lost. Because everything in this world was developed before Nights of Steel it is assumed you know the history of this world and how it works. Don't let that stop you. Just read on and then go back and read the first three. Avon Books published Nights of Steel by Nico Rosso in 2012. I received an ARC of Nights of Steel from Edelweiss. I am on the Round the World Cruise and have limited Internet. I'm using this time to catch up on my TBR pile on my ereaders. My posts are short with no links or graphics. Check my travel blog to see where I have been and where I am going. The prolog set the stage for Santuario. A Santuarian generation ship landed on Jarovegur 200 years ago. Jarovegur already had inhabits and they segregated the newcomers to an island that they called Santuario hoping they would fail to survive. The opposite happened. There is a move to end the isolation and not everyone is in favor of that happening. That is where the mystery comes in. There has been a murder on Santuario and someone from the mainland is sent to help in the investigation. While the story is based on finding the murderer it is really a story about human interaction. The story is very character driven. The two main characters are from opposite societies, Alex from Santuario and Bengt from the mainland. From Bengt's viewpoint nothing is as it seems and from Alex's viewpoint Bengt does not begin to understand how things work on Santuario. Their struggle to work together is the main focus for the story and allows the issues to surface and develop. Much of the story revolves around the move to open up the island and the effect it will have. The mystery is there to bring the characters together and to allow all the issues to be brought out into the open. I liked the story and was drawn into the conflict between Alex and Bengt. Using two different cultures on the same planet has been used before but it still works to set a stage filled with tension and misunderstanding. While there was an end and a solution to the story there is plenty of room for more stories set on Jarovegur. Riptide Publishing published Santuario by G.B. Gordon in 2012. I received an ARC of Santuario from Netgalley. Jamie is the Geek Girl in the story and Mike is the Scandalous Earl. Jamie writes music and lived a vicarious life playing online games. When she help clean out a storage locker she falls through the mirror on an antique wardrobe. It seems she has been called as the perfect mate for the Earl. Of course love and the HEA is not as easy as that. Jamie and Mike have an exciting journey. Mike was involved with a woman who is very jealous. Even though he as broken it off she is still trying to win him back and she does not care how. Mike is about to ask the wrong woman to marry him. And how does Jamie fit in. Well she does not at first but eventually Mike realizes he loves her. Then the trouble really begins and Mike pushes her away for her safety. Jamie is a different type of time traveler. Her main interest is music and online games. Mike is a typical 1800's male. It leads to some interesting scenes between the two. I had some trouble getting into the story but once I got past the first few chapters I did not want to quit reading. If you are looking for a slightly different time travel romance pick this one up. Sourcebooks published The Geek Girl and the Scandalous Earl by Gina Lamm in 2013. I received an ARC of The Geek Girl and the Scandalous Earl from Netgalley. Nexus is a really fast paced Science Fiction Thriller. Set in the near future it deals with what might be the next step for man. Some of the science in the story is around today but the author takes it to a whole new level. Nexus is a drug that can elevate people to a higher level. It can also be used to control others. The two main characters in the book, Kaden Lane and Samantha Cataranes, are on opposite sides. Kaden is working to release the drug to everyone. 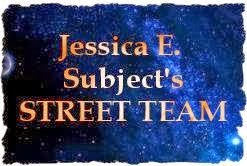 Samantha works for the government and her job is to stop Kaden. Everything develops from their first encounter. The writing in Nexus is superb. The action is non-stop. The plot is well developed. I loved the way scenes were presented in quick terse paragraphs. It kept the tension level high. I think this is a must read for any hard science fiction fan. Angry Robot published Nexus by Ramez Naam in 2012. I received an ARA of Nexus from Netgalley. There are so many options for Steampunk books and it is fun to see what an author puts into their world. Liesel Schwarz has created an interesting mix of steampunk and the paranormal in A Conspiracy of Alchemists. Eleanor is an airship pilot, something out of the ordinary for women. She is in Paris to pick up cargo set up by Patrice, her agent. It turns out this is not any ordinary cargo. Part of it is just a small wooden box and before Eleanor can get it to her airship it is stolen. . The other part is Marsh. A man Eleanor clashes with from the very beginning. All of this is part of the world building. The box contains something the Alchemists want and need. March is part of an opposing group that is trying to stop the alchemists. Eleanor has special talents that she does not want to acknowledge. Both groups are trying to get Eleanor and her talent. You just have to keep reading to find out who is the good guy and who is the bad one. There is a very interesting world built in A Conspiracy of Alchemists. While some elements are common to steampunk many are unique to this book. The book is also filled with interesting characters. Marsh and Eleanor carry the bulk of the story but there are side characters that add interest and color to the story. The plot is well developed. The dialog keeps the story moving in an active manner. All in all a very well written book. This is the first book in a new series. While this part of the story is complete and has a satisfying ending there is a teaser epilog that sets up the next book. Ballantine Books published A Conspiracy of Alchemists by Liesel Schwarz in 2013. I received an ARC of A Conspiracy of Alchemists from Edelweiss. If You Give a Rake a Ruby is the second in the series that features Juliette, Lily and Fallon. All three are courtesans and have been know as The Three Diamonds. In the first book Juliette found her Duke and is now married. Now it is Fallon's turn. Warrick Fitzhugh is one of the Rough Diamonds, men who worked undercover for the crown during the war. Now someone has killed one member and is trying to kill Warrick. There is a complicated plot in If You Give a Rake a Ruby. Fallon has a past that is coming back to haunt her. Warrick is trying to find a killer while suffering from episodes of post traumatic stress. Fallon and Warrick are attracted to each other but Fallon feels that she is not good enough for him. Warrick is estranged from his family and racked with guilt about the death of his brother during the war. Put all of this together and you have a fast moving journey to Fallon's and Warrick's HEA. Look for the solution to some of the issues in If You Give a Rake a Ruby but not all. Since it is the middle book in this series it also sets the stage for Lily's story. This was one of those books I had trouble putting down. I am looking forward to the next book in the series. Sourcebook published If You Give a Rake a Ruby by Shana Galen in 2013. I received an ARC of If You Give a Rake a Ruby from NetGalley.